Unfortunately, “Greystone” appears to be the only track currently available online from this stellar release. This site still hopes more album cuts find their way onto the Internet in the future. 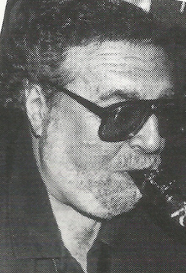 “Passage of Three,” a track composed by guitarist-band leader Mitch Seidman and dedicated to the Jimmy Giuffre Trio that features Leonard Hochman on bass clarinet is at the jazzhistorydatabase.com website. 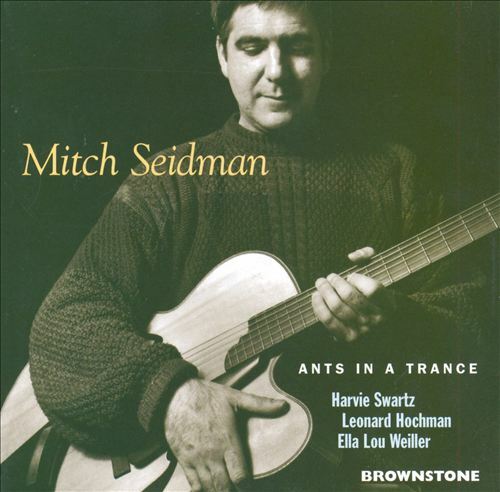 The second track on Mitch Seidman’s Ants In A Trance album on Brownstone Recordings, it was also recorded in 1995 and released in 1996. Besides Hochman and Seidman, Harvie S plays bass and Ella Lou Weiler viola. “Passage of Three” is HERE. Harvie S and Leonard Hochman appeared together on four albums between 1994 and 1996, all produced or co-produced by the bassist. In 1994, they played on Mitch Seidman’s Fretware album released on CD by Massachusetts label Brownstone Recordings. Hochman plays on five cuts, joining drummer Alan Dawson, fellow saxman Charlie Kohlhase, guitarist Seidman, and Harvie S on bass. In 1995, Leonard Hochman released Until Tomorrow, a Brownstone Recordings’ album featuring Alan Dawson on drums, Eula Lawrence on vocals. Mitch Seidman on guitar, Harvie S on bass, and Chris Taylor on piano. Recorded at PBS in Westwood, Massachusetts in April 1994, the CD opens with “The Dragon,” a composition by Leonard Hochman. Several years after leaving Hap Snow’s Whirlwinds, Leonard Hochman stopped performing and founded a successful instrument rental and and sales business, the Arnold Music Company. 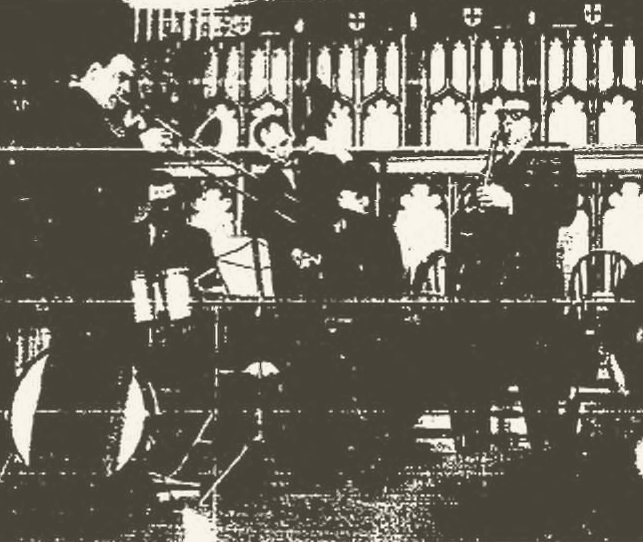 However, around 1966, Hochman did find time to join trombonist Phil Wilson, bassist George Moyer, and drummer Tony Sarni on their Prodigal Son: A Christian Worship Service in the Jazz Idiom album released on Freeform Records. In fact, the Phil Wilson Quartet began rehearsing in Hochman’s basement in Sharon, Massachusetts. They also performed live around the Boston area at venues including Lennie’s on the Turnpike in Peabody. Wilson recalls Prodigal Son was recorded “in the late fall of 1967 but it took nearly a year to put everything together.” This included having to write out the free form pieces of music in order to fulfill the legal requirements at the time. Recorded at the historic Center Congregational Church in Providence, Rhode Island, the album features a unique interplay between the pastor, Ben Owens, who reads passages, and the quartet, which either provides musical commentary or extended free-form interpretations of the scripture. Unfortunately, this out of print LP is near-impossible to find these days. Leonard Hochman retired from performing after recording the album, although when Phil Wilson joined the New England Conservatory of Music as chairman of the jazz division in 1974, Hochman enrolled as a student in two or three classes between 1974 and 1976, playing in several concerts. Wilson recalls that Hochman: “brought love and tremendous enthusiasm to the project.” Other than composing music for a Broadway play in 1976, Hochman focused on family and work until the early 90s, when he began appearing on stage again, culminating with his greatest success in 1996, Manhattan Morning. Pianist Kenny Barron, currently on tour in the United States, has enjoyed a prolific performing and recording career that includes working with a long list of jazz luminaries from the early 1960s through 2014. The extensive recording output includes making five albums with the drummer from Manhattan Morning, Victor Lewis. Barron also played with drummer Alan Dawson (who appeared on two albums with Leonard Hochman: Until Tomorrow and Fretware). Drummer Victor Lewis has made dozens of albums as a sideman and as a leader including Urban Earth (1985) and Smart Moves (1986) with Manhattan Morning‘s bassist-producer Harvie S. and a series of five albums with drummer Kenny Barron: What If? (1986), Live at Fat Tuesdays (1988), Other Places (1993), Sambao (1992), and Quickstep (2001). Vibraphonist Joe Locke has performed and recorded with a diverse mix of musicians, from The Beastie Boys and Ron Carter, to Dianne Reeves and Grover Washington, Jr. In 2007, Locke joined the Geoffrey Keezer Group, with Terreon Gully on drums, Jonathan Kreisberg on guitar, Mike Pope on bass, Keezer on piano, and Locke on vibes, at Große Konzertscheue, part of the Jazz Baltica festival in Salzau, Germany. Double-bassist and producer Harvie S has been making music since the early 1970s, including several projects with pianist-keyboard player Kenny Barron. 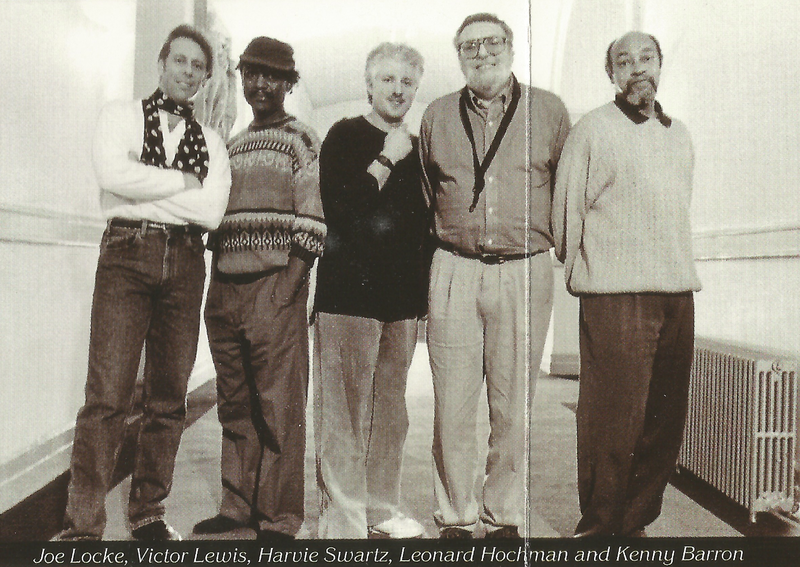 In 1986, Harvie S and Kenny Barron joined drummer Ben Riley on vocalist Shelia Jordan’s Body and Soul album. This website is actively seeking out unreleased concert recordings of Leonard Hochman to add to the five albums he is known to have worked on: Prodigal Son, Fretware, Until Tomorrow, Ants In A Trance, and Manhattan Morning. At this time it appears the only music online are the videos for “The Dragon” and “Greystone,” as well as audio files for “Passage of Three” and “The Dragon” at the Brownstone Recordings section of the jazzhistorydatabase.com website. Other than that, a pair of unreleased demos by Art Bearon, Leonard Hochman, and Hap Snow cut at Ace Recording Studios in Boston in 1960 are the only other Hochman recordings currently available. 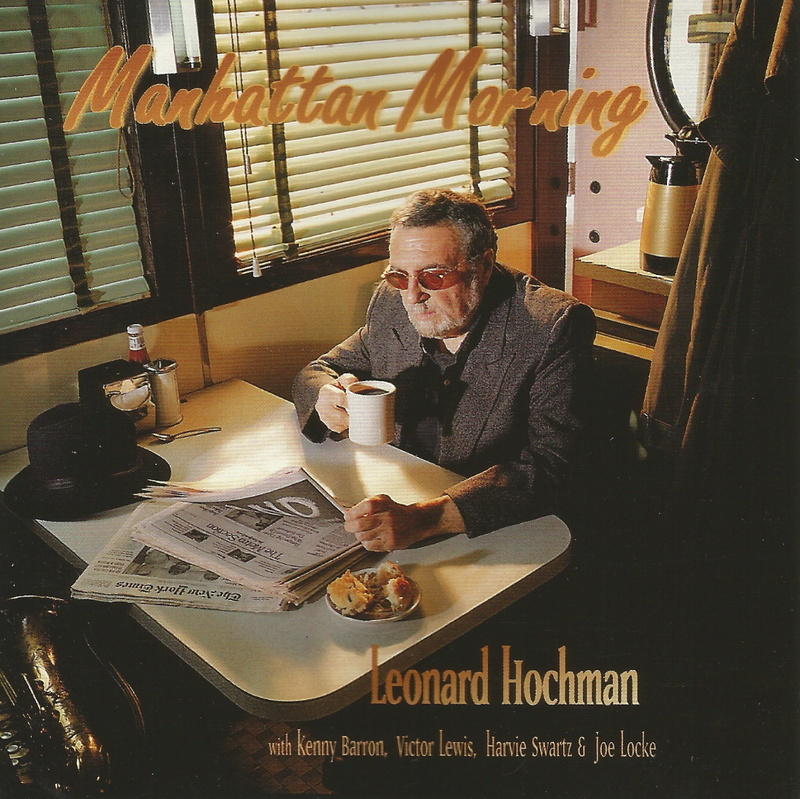 This entry was posted in Album Spotlight and tagged "Greystone", Alan Dawson, Brownstone Recordings, Ella Lou Weiler, Harvie S, Harvie Swartz, Jazzheads records, Joe Locke, Kenny Barron, Leonard Hochman, Leonard Hochman - Manhattan Morning 1996 album, Leonard Hochman - Until Tomorrow 1995 abum, Mitch Seidman - Ants In A Trance 1996 album, Mitch Seidman - Fretware 1994 album, New England Jazz, Phil Wilson Quartet - Prodigal Son 1968 Freeform, Victor Lewis. Bookmark the permalink.